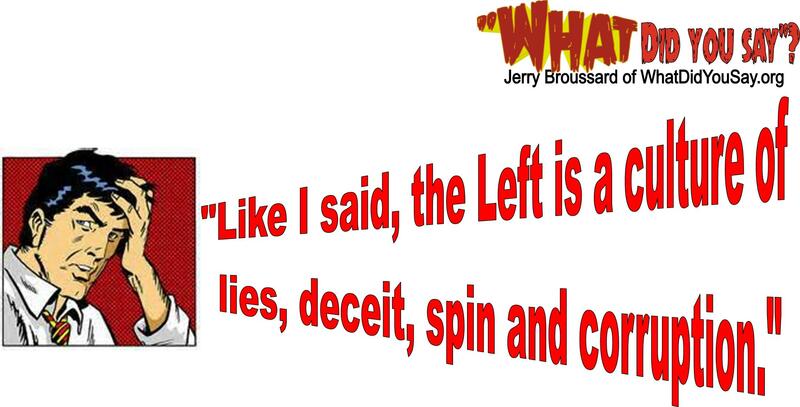 Rush Limbaugh | What Did You Say? Conservative talk radio host Rush Limbaugh said he believes special counsel Robert Mueller’s Russia investigation was launched to “cover-up” the misdeeds within the Justice Department, including the FBI’s attempted “coup” against President Donald Trump. During an appearance on “Fox News Sunday,” Limbaugh was asked to respond to former FBI Deputy Director Andrew McCabe’s account that he was involved with a discussion with Justice Department Deputy Director Rod Rosenstein in May 2017 regarding invoking the 25th Amendment to have Trump removed from office. Limbaugh contended that those involved in these discussions are the ones who ought to be under investigation and going to jail. Limbaugh noted that no one has been prosecuted to date for the stated purpose of Mueller’s probe, which was to examine Russia’s attempts to influence the 2016 election, including whether the Trump campaign colluded with Moscow. Many political observers, including Fox News host Sean Hannity, have pointed to the special counsel’s apparent lack of interest in investigating the origin and use of the so-called Trump Russia dossier as proof that Mueller is overseeing a one-side, agenda-driven probe. The dossier, which was funded by the Democratic National Committee and the Hillary Clinton campaign, was reportedly used to help obtain FISA warrants to spy on the Trump campaign. Limbaugh said that a primary goal of Mueller’s investigation was to be the vehicle used to justify impeaching Trump, but now it is aimed toward the 2020 election and driving down the president’s approval numbers. The OIG made a criminal referral to the DOJ regarding McCabe’s alleged lies to federal investigators. In March 2018, then-Attorney General Jeff Sessions fired McCabe based on the OIG’s findings two days before he was slated to retire. McCabe came under increased scrutiny following the release of text messages by the inspector general in December 2017 between FBI officials Peter Strzok and Lisa Page. Strzok then replied, “I want to believe the path you threw out for consideration in Andy’s office … that there’s no way he gets elected — but I’m afraid we can’t take that risk. Rush Limbaugh’s 30 year anniversary today. I started listening to Rush Limbaugh around 1990. I can’t say in words how much I appreciate his impact on our society and give him a large amount of the credit for saving our country from the ravages of the leftist mainstream media. Free and fair elections have always been a hallmark of American democracy. But will they always be? Rush Limbaugh thinks there’s a very good chance they won’t. Rush was answering a caller to the show last week who said that the media didn’t understand why Republican voters would stick by President Donald Trump, particularly given his nomination of federal Judge Brett Kavanaugh to the Supreme Court. “I think you’re right — and the media, of course, is missing it,” Limbaugh said. “The media thinks the exact opposite is happening. They think … Like CNN today spent the whole morning bashing Trump as somebody out of place, and doesn’t know what he’s doing, embarrassing the United States on the world stage at NATO, and they think Trump voters are gonna see it the same way and start regretting the way they voted for Trump. “These people have no idea,” he continued. “It’s amazing to me — and you’re right about this. It’s amazing just from a professional standpoint. “They haven’t done that at all. They’ve made no effort to understand the Trump voter in whatever state. Limbaugh said to the left (and the anti-Trump right), it comes down to “ways have to be found to beat them and overcome them, but not persuade them and talk them, you know, into abandoning Trump. Well, I don’t know, but that just doesn’t seem to make much sense in the world of politics. Limbaugh went on to describe a show on CBS (I’m pretty sure he’s referring to “The Good Fight”) in which a character played by Margo Martindale illustrates his point. “She was telling everybody about, ‘we have to win 2018. We have to win. We have to win. We have to.’ Now, obviously that’s a mantra. But the way she said it, it made me realize: One of these days these people are gonna realize that the only thing stopping them here is elections. “If they can find a way around that, then they don’t need to worry about appealing to people or getting out the vote or coming up with ways to convince people to vote,” he continued. “If you look at the way the radical left is going with this intolerant bullying and intimidation of anybody who disagrees with ’em, and the desire to stop any expression of any alternative view or way of thinking? Limbaugh said that you could “(g)o ahead and laugh. Tell everybody I said that someday the left is gonna conclude that elections are the problem, but I’m telling you what. What do you think open borders, mass amnesty is about? “If American citizens won’t vote for you, then make sure a bunch of people get into the country who will. Don’t doubt me on this, folks. These people have such an entitlement and quest for power that leaving it up to public opinion among a bunch of dolts and uninformed, uneducated hicks? Will this happen? Not tomorrow, and Rush certainly doesn’t believe it’s coming soon. But when the ends justify the means, and when the ends involve winning at all costs, why bother with elections? And when you think they won’t change the way the game works, just look at the move regarding the Electoral College when they couldn’t win that. Cillian Zeal is a conservative writer who is currently living abroad. He became a staunch right-winger at the age of three: While watching a clip of Ronald Reagan, he told his mother (to her great horror), “Mom, I’m a Republican.” Except for a brief, scarring and inexplicable late high-school dalliance with Ralph Nader and his ilk, he’s never looked back. Aside from politics, he enjoys spending time with his wife, literature (especially British comic novels and modern Japanese lit), indie rock, coffee, Formula One, and football (of both American and world varieties). He is the proud owner of a very lazy West Highland white terrier and an extraordinary troublesome poodle mix of indeterminate provenance. URL of the original posting site: https://conservativetribune.com/rush-limbaugh-trump-wiretap/? On Monday evening, the political world was blown wide open when a bombshell report emerged revealing former Trump campaign manager Paul Manafort had been wiretapped — and, even worse, that his conversations with President Donald Trump may have been recorded as a result. Of course the liberal media has been quite slow to admit that the revelation proves Trump’s infamous allegations in March that he had been wire tapped at New York City’s Trump Tower weren’t quite as insane and unfounded as they claimed. 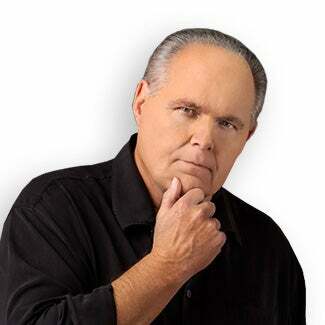 Limbaugh went on to explain that it appears that former President Barack Obama and former FBI Director James Comey spied on a rival political campaign — possibly in an attempt to sway the election. We should point out that right now there is no proof that Obama ordered the wiretaps, or that this was done to sway an election. The wiretaps on Manafort preceded his work with the Trump campaign, and actually weren’t in place for much of his time as manager. But that doesn’t change the accuracy of Limbaugh’s essential point. “What the government’s doing is bigger than Watergate. Nixon never did any of this. He may have dreamed about it, and he may have gotten drunk and talked to people, but he never did this. Nixon never actually used the IRS to penalize enemies, but Obama did. Ever heard of Lois Lerner?” Limbaugh asked. This wiretapping revelation raises serious questions that need to be answered. Multiple high-level Obama officials, like former Director of National Intelligence James Clapper, insisted before Congress that there was no wiretapping (or claimed they weren’t aware of any). Clearly, that wasn’t the truth. This is one of the biggest political bombshells to drop in a long time. If Obama was spying on Manafort for political reasons, the ramifications could be extreme. The American people need answers, and they need them now. RUSH: Exclusive, right on time, as night follows day, we can always count on a push poll like this. From Reuters: “Exclusive: Majority of Americans Want Congress to Move on From Healthcare Reform.” Of course they do! So here comes the failure by the Republicans to repeal and replace Obamacare. Fat repeal, skinny repeal, straight repeal, repeal and replace, replace but don’t repeal, whatever it is, up in flames, up in smoke, and wouldn’t you know, Reuters has gone out and surveyed people in New York and Boston and LA, wherever, and found people that think Congress should move on. Like hell it has. But here we go. Obamacare more popular than ever, Republicans hated and despised. And that may be, but not for the reasons the Reuters implies here. Obamacare hasn’t helped 20 million people obtain health insurance. And here’s another thing about this CBO score. I have intended to mention this the past couple or three days and just never got around to it. The CBO score. We gotta get rid of the CBO. The CBO, the Congressional Budget Office, is one of the primary obstacles to any legislation being passed, but particularly health care reform. You remember when the media and the Democrats were just breathlessly excited when they released the CBO numbers that repealing and replacing Obamacare would cause 22 million Americans to lose their health insurance? Do you know why that would happen? It was because repeal repealed the mandate that people had to buy it. It wasn’t because the government was gonna come and take it away from you. It wasn’t because what you had was going to be canceled. It wasn’t because the insurance companies were then given permission to tell you to take a hike. It was simply the CBO statically, not dynamically, statically concluded that if you take away the mandate, the federal law requiring citizens to buy insurance, that 22 million people would lose their health insurance. No, no. It was simply the CBO guessing that if people didn’t have to buy it, they wouldn’t. Which may make sense. How many people have bought this rigmarole simply because the law requires them to? How many people have actually engaged in this and gone and petered around inside one of these exchanges to come up with an Obamacare policy because they had to? So the idea that removing the mandate requiring them to buy it is a good thing! It is a reinstallation, if you will, of the degree of liberty and freedom we had before Obamacare. Before Obamacare, you didn’t have to have it. Everybody wanted it, but you didn’t have to go buy it. No matter what it costs, you didn’t have to buy it. So the CBO says 22 million people will lose their health insurance. What a gross misstatement of what would actually happen. And of course with the absence of critical thinking being taught, nobody concluded the correct thing. By the way, that’s a wild guess number. The CBO just assumed that people would lose — i.e., that’s the wrong word — CBO just assumed people would cancel their policies if they didn’t have to buy them. What does that tell you? Well, it tells me that somebody in Congress thinks a lot of people are buying health insurance that don’t want it, and the first chance they get they don’t have to buy it, they’ll get rid of it. Which is a good thing. And it ends up being portrayed as heartless and cruel and typically Republican, when in fact it was a good thing. And it didn’t have any relationship whatsoever to people’s health care or health insurance. And yet that statistic, released the way it was, with the wording as it was, led to a lot of people not supporting it because they envisioned insurance companies canceling people, because, yes, that’s what insurance companies do. All companies would rather their customers get sick and die than have to cover them and pay for them. Big Tobacco wanted to kill the customer. Big Oil wants to destroy the planet. Big Pharmaceutical doesn’t want to cure disease. Big Coal, all they want to do is pollute the rivers. Big Box Retail, all they want to do is rip people off. You take your pick. 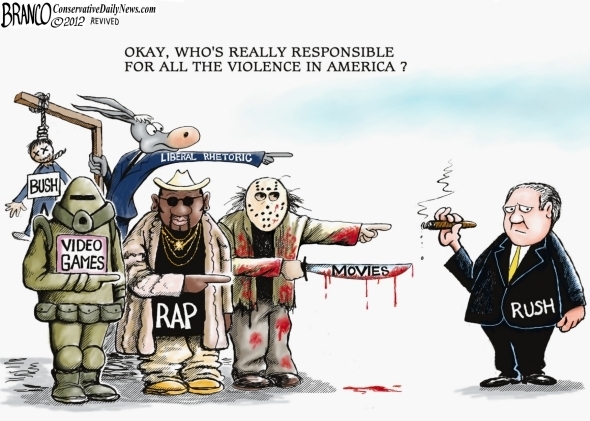 Whatever major industry we’re talking about, the Democrats have demonized ’em. And now the health insurance providers are such that if they don’t have to provide it, they won’t, when in fact it wasn’t about that at all. But back to the wording of this story. Obamacare did not and has not helped 20 million people obtain health insurance. Now, Reuters writes this as though Obamacare provided a freebie. Obamacare provided an entitlement. Yes. Because people who couldn’t otherwise afford it because insurance companies are mean were given subsidies in order to be able to buy it because the law said they had to, but corporations are so mean that they price it out of people’s reach, and that means that Obama made it possible for people have it, which is a stack of coal. You know how many people are on Obamacare right now? What is the number that you know? Pick a number. The number of Americans who are actually on Obamacare. I have a number here that is hard to believe. In fact, I ought not use this number because I don’t think it’s right, but it’s not far off. The number I have here is eight million people on Obamacare. That can’t be right. But the point is, Obamacare is nowhere near covering everybody. It’s a giant myth that Obamacare came along and magically created health insurance opportunities for people that didn’t have it. And it’s also not true that the Republican repeal would take health care away from people who wanted it. So many lies and so many just straight distortions here. The majority of people who are on an Obamacare policy had insurance anyway before they signed up for Obamacare. And there are a few million more on Medicaid thanks to the Medicaid expansion. But the Medicaid expansion is not health insurance. It’s also a lie that Obamacare has steadily become more popular. Nothing could be further from the truth. If that were true, more people would be signing up for Obamacare, but they aren’t. If that were true, the insurance companies would be lowering premiums because so many people would be signing up. If that were true, so many different state exchanges would have more than one provider. If Obamacare were actually growing in popularity, we wouldn’t be reading stories that it’s about to implode — and it is — and is going to leave several people without even an exchange to go buy a policy. The enrollee number has been stuck at eight million since 2014. In fact, the number of people who have signed up is almost a third of what this CBO assured us would have signed up by now. The CBO predicted 22 million people would sign up for Obamacare by this time, since 2010. The number here is eight million, fewer than eight million. What are we talking about? That’s another thing about Obamacare that was always crazy from the beginning. If it was really about providing insurance for those who didn’t have it — that number is anywhere from eight to 12, and at the top 30 (at the very top 25, 30) million who didn’t have it. Obamacare didn’t fix that, didn’t address that because that’s not what Obamacare was about. “Among Republicans, 75% said that they would like their party’s leaders to repeal and replace Obamacare at some point, though most listed other issues that would give a higher priority right now. When asked what they think Congress should do next, most Americans picked tax reform and then foreign relations and then infrastructure. Only 29% said they wanted the Republicans in Congress to continue working on a new health care bill.” Republicans. That’s what the poll says. I don’t believe it. But I could be wrong. And if it is true that only 29% want a new bill, it’s because their frustrated and don’t think the Republican Party can get it done anyway. RUSH: Yesterday… I don’t think I’ve got the audio on this. Doesn’t matter. Jake Tapper yesterday had Bernie Sanders on, and they were discussing single payer. It failed in Vermont. The governor of Vermont tried single payer. It failed, wouldn’t work, and didn’t have the money, and Jake Tapper was interrogating Crazy Bernie about this. “If Even ‘Cobalt-Blue States’ Can’t Make Single Payer Work,” then why in the world does anybody think it’ll work in Washington or anywhere else? Crazy Bernie did not have an answer when asked why it didn’t work in Vermont. The governor there, Peter Shumlin, did declare the debate over after getting estimates of the projected costs of socialized medicine in California. In California, the state assembly declared that they were gonna go single payer. The California state budget every year is $180 billion. Single payer for California alone would cost $200 to $300 billion, in addition to everything else the state’s already spending. The state budget without it is $180 billion. Single payer: $200 billion, minimum. And you know how they said they were gonna finance it? A 15% increase in the payroll tax! Which wouldn’t even get close ’cause people are not gonna sit there and stand for that. Single payer may be the issue where everybody suddenly realizes Washington can’t do it. There isn’t the money for it! What is it we’re $20 trillion in debt? We really, theoretically… Folks, we don’t have the money to do anything with that kind of debt, and yet there doesn’t seem to be any limit on spending, except when something’s this outrageous. The states can’t print money, so there’s no way they can do it. So these states acting as little, miniature laboratories for these great national ideas? It’ll cost $200 billion when a state budget is already $180 billion. Let me grab a call in before we wrap up the hour. I want to start with Anna in Phoenix. Welcome. It’s great to have you here. How are you? CALLER: Oh, fine. How are you, Rush? RUSH: Very good. Very good. Thank you. CALLER: Okay. You said be brief; I’m gonna be brief. My husband and I were talking about what happened with President Trump saying that he’s thinking about pulling funding for the congressman and senators’ own health care. My husband said, “That probably will not make any dent at all with them. What they care about is getting reelected.” So he said, “What he should do is go out and rally in each of the states where these senators are holding him up and rally to recall them. Do a recall for them, because they’re not doing the job.” What do you think? What they did in voting down the repeal and replace of Obamacare tells me they’re not afraid of the voters at all. The voters, of course, is how they get reelected. Now, McCain obviously is not gonna run again. Many of the senators just got elected, so they’re not gonna face voters for six years. A third of the Senate is up in 2018; another third’s up in 2020. But it’s clear — and I have, I think, succinctly and brilliantly made this point on prior broadcasts — that the senators are afraid of something. But it’s not you. It’s not the voters. They’re certainly afraid of somebody — or else they despise somebody — but they’re not afraid. You know, Ted Cruz said the thing that he discovered that was the most… I mean, he knew it, but to see it in action every day? It blew his mind that the single, dominating thing in every day of a senator’s life is getting reelected, which means fundraising. That’s number one, first and foremost. Okay, if that’s true, then how do you explain so many Republicans saying “no” on Obamacare? And the Democrats, too. There are a lot of Democrats coming up in ’18 that should be vulnerable because they come from states that went very strong for Trump. And I’m thinking they’re living under the illusion everybody hates Trump, and so they don’t need to worry about that anymore. But they’re not worried about reelection on this. Taking them off Obamacare? Believe me, they tried to except themselves from what they were doing. That does matter to them. “Alaska Sen. Lisa Murkowski, for example, wrote multiple op-eds for her hometown papers decrying what Obamacare had done to her state, and vowing to repeal it, in the run-up to her 2016 re-election. In one [op-ed,] she wrote that ‘the Affordable Care Act has unfortunately become one of the most ironically named pieces of legislation for Alaska in history.’” Lisa Murkowski was one of all these Republicans voted in December of 2015. For those of you in Rio Linda, it means the next month is 2016, which is an election year. They wanted to be on record as close to an election year as possible that they had sent a vote to repeal Obamacare up to Obama. Damn it, they repealed it. But that’s what you get with a Democrat in the White House. You give us a Republican in the White House and we’ll repeal it. She tells everybody how it’s not affordable. It’s not this and that. It’s not anything it purports to be, and she lays claim to no doubt that she opposes it. Folks, this betrayal ranks right up there with every betrayal that we’ve had. This is in the top five all time political betrayals, the Republicans in the Senate on this. “But this week, Murkowski voted against every single version of Obamacare repeal.” She voted against repeal and replace. She voted against straight up-and-down repeal. She voted against “skinny” repeal. She would have voted against fat repeal if somebody would have come up with that. Yes, she did! She voted against skinny repeal that would have only ditched the individual and employer mandates and suspended the tax on medical devices. She couldn’t even vote for that. The CBO gave her cover, don’t you know? She said, “I did not come here to inflict pain on people.” What’s that, inflicting people on people? “Well, the CBO said that 22 million lovable Americans will lose their health insurance if…” No. No. Yeah, they said it, but that’s a great big misdirection. The truth is 22 million people may not all lose their health insurance. It was simply the way the CBO chose to portray what they thought would happen if the mandate were done away with. It’s interesting to me that (chuckles) the Congressional Budget Office thinks if the mandate were taken away, everybody who bought Obamacare would cancel it. What does that say about it? But they chose to portray it as the government’s gonna take it away from you, or your insurance companies are not gonna ensure you. Lisa Murkowski knew better. She knew what it meant. She knew that simply repealing the personal mandate, the employer mandates — simply removing the requirement that you have insurance — doesn’t mean people lose it. It means they have their freedom back! That’s right. “She even voted against a ‘skinny’ repeal that would have only ditched the law’s individual and employer mandates and suspended the tax on medical devices [like dildos] — a tax that is so harmful to that industry that even uber-liberal Sen. Elizabeth Warren wants it repealed.” (interruption) What, you didn’t think that’s a medical device? (scoffs) , you go… (interruption) You go talk to… (interruption) Well, it certainly is. (interruption) In the right hands? “One of his 2016 campaign ads said ‘Obamacare is failing Arizonans’ and that ‘John McCain is leading the fight to stop Obamacare.’ Last February McCain introduced a bill to ‘fully’ repeal Obamacare and replace it with a ‘free-market approach that strengthens the quality and accessibility of care.’” But McCain was running for reelection then, and so he was having to say things that he knew his constituents wanted to hear. He wasn’t saying things he actually intended to do, obviously. Just like all the Republicans of his ilk. Once elected, he sang a completely different tune. There’s a YouTube of McCain’s promises. 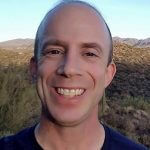 He explains why Obamacare must be repealed and replaced. It was during the 2016 campaign. McCain said in a YouTube video: “For the first time in history a major entitlement reform was rammed through the Congress without a single vote from the other side. I fought for weeks and weeks and weeks against Obamacare. They would not allow us an amendment. There was not a single amendment allowed. No input from the minority party. “We were the minority party. Now Congresswoman Kirkpatrick” his opponent “wants to sit down and work together. Well, here’s how we work together: We repeal and we replace it.” That’s McCain in a YouTube video last year. “McCain went on to argue that the majority of the American people have ‘resoundingly rejected Obamacare.’ One of the debate moderators asked McCain if it was possible for Congress to try to improve Obamacare rather than to try to repeal it. McCain rejected the idea that it could be fixed and that the only solution is to repeal Obamacare.” This is last year! This is the very same McCain that happily gave a thumbs down last week. Folks, it is sad to have to observe, but John McCain just proved that everything his harsh critics have ever said about him is likely true, and we know why. We know exactly why. Some people might even claim they understand it. Trump, in one of his early statements after having announced his intention to seek the Republican presidential nomination, when asked about Senator McCain, said he didn’t have a whole life respect for him ’cause he got captured. Trump says he has more respect for military people that don’t get captured. (sigh) Well, think what you will of that. But you cannot think what you will of that without recognizing the importance of that story to McCain’s political biography. It is crucial to McCain’s biography. Everybody knows it — that’s how crucial it’s been — that McCain was captured after being shot down, that when the Vietcong found out who he was (i.e., the son of a famous Navy admiral), they offered him release and how McCain said no. He was not going to take early release unless his fellow prisoners would be released — and of course, they weren’t; so McCain wasn’t. That story has been part of McCain’s political biography. Here came Trump inside of two sentences blowing it smithereens. McCain, I just know — as I say, I’m sure many of you can even understand, maybe even agree — has been waiting for the right moment to stick it back to Trump and chose to do it last Thursday as the last vote, thumbs down, killing Obamacare repeal. “‘For some members of Congress, it’s just another day at the office.’ … Journalists [i.e. the media] rushed to gush over [McCain’s] vote, cast only a few days after a surgery to remove a dangerous brain tumor. The New Yorker’s take was typical: ‘Throughout his political life, John McCain has for many reasons enjoyed bipartisan respect and even reverence: his independence of mind (usually), his candor (usually), his decency, his love of country,’” and all of this is said of John McCain because he regularly betrays his own party. That’s why the media loves John McCain. Limbaugh asked Pence about the challenge of passing legislation to repeal and replace Obamacare. “How in the world can it be this hard when it seemed easy when Obama was in the White House?” Limbaugh asked. “Nobody’s talking about that. That’s a great point because nobody is talking about it,” Limbaugh said in response. Still, the budget rules that the Republicans need follow to pass their legislation with just 51 votes do not allow them to make such a “substantive change in the law,” Pence said. Despite that shortcoming, Pence said that “in this legislation … we accomplished enormous things,” citing the removal of the individual mandate to purchase health insurance or pay a tax penalty to the government. According to Pence, another obstacle impeding the passage of the legislation is the varied opinions of lawmakers. Limbaugh and Pence also discussed the possibility of a single-payer health care system. The vice president then referred to former congressman Barney Frank’s answer to a reporter’s question about single-payer health care in 2009. Pence also referenced to the “heartbreaking story” of 11-month-old Charlie Guard in England — whose single-payer system will not allow his parents to choose potentially life-saving treatment for him — as an example of what could occur in the United States. “I believe that — with the strong support of the American people — with this president in the Oval Office, we’re going to get it done. We’re going repeal and replace Obamacare. But the time is now,” Pence said.